Visakhapatnam Heritage and History is a technology-enabled documentation project of the urban social technology firm, Mapunity, focused on the local history of the city. It combines information on different aspects of the heritage of cities - the built form, a chronology, cultural distinction, and more - to make it easier to know and celebrate the heritage of the city and the region around it. 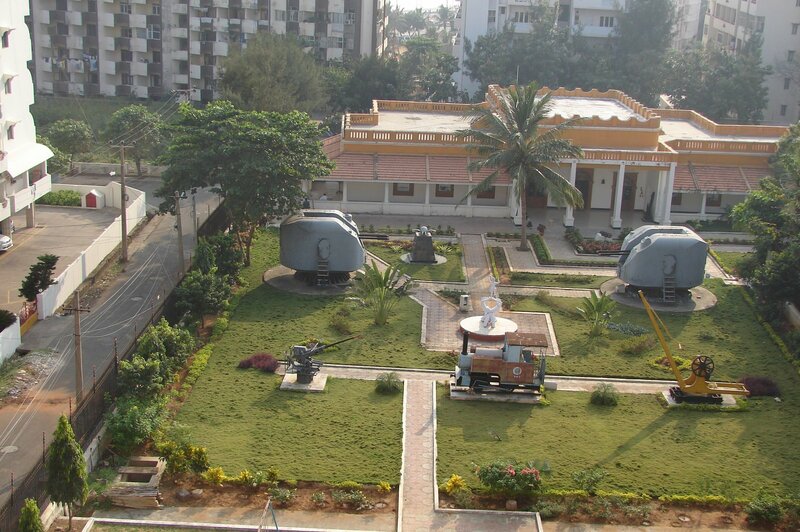 The Naval museum known as Swarna Jyoti Museum is located in the Eastern Naval Commmand (ENC) complex in Visakhapatnam. The museum was started in 1989 to showcase the maritime history and the Naval heritage of the country as well as to display the growth of Indian Navy from pre-independence days to the present. Known as the Taj Mahal of Visakhapatnam, the Kurupam monument was built in 1904-5 by Raja Vairicharla Veerbhadra Raja Bahadur for her beloved wife Princess Lakshmi Narasaiyyamma. When the queen died in 1908, the monument was dedicated in her memory by the king. The monument is a beautiful confluence of Moghul and North Indian architecture with Rajasthani and Khajuraho style of sculpting. Russian built INS Kursura was India's fourth submarine. 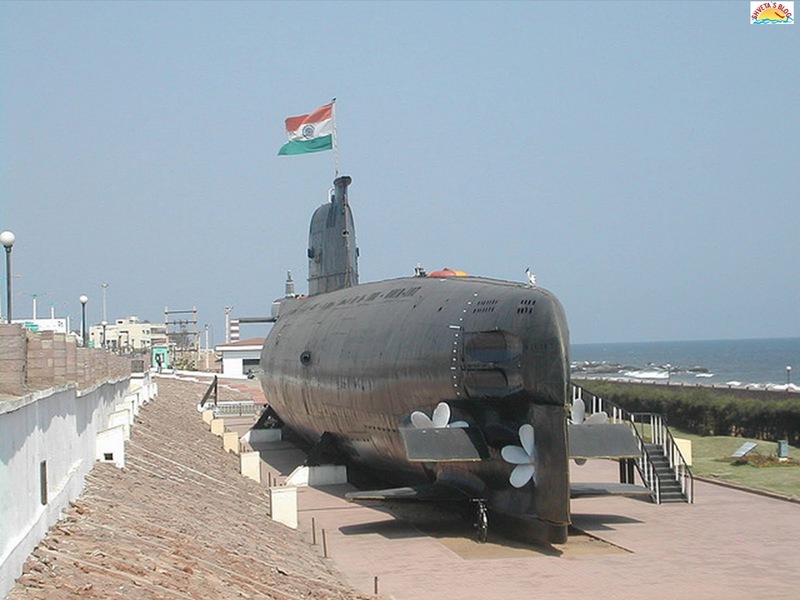 It was decommissioned in 2001 after 31 years of service and turned into a museum making it the first Submarine museum in India. It was opened for public in 2002 and since then it has attracted thousands of visitors. Rose Hill Church is located at the entrance of the Visakhapatnam harbor. The hill got its name from the owner of a bungalow situated on the top of the hill, Mr. Ross - a judge. In 1866, the then Bishop Msgr J.M. Tissot acquired the bungalow and an altar was erected and blessed as a chapel on August 15, 1867, by the then Vicar General Fr. Richard. Thotlakonda houses ancient Buddhist monasteries which are believed to have been built during Ashoka's rule in 2nd century BC. The monasteries consisting of many Chaityas (prayer halls), Viharas (living spaces for monks), reservoirs and a 17 meters tall Maha Stupa were spread over 316 acres. 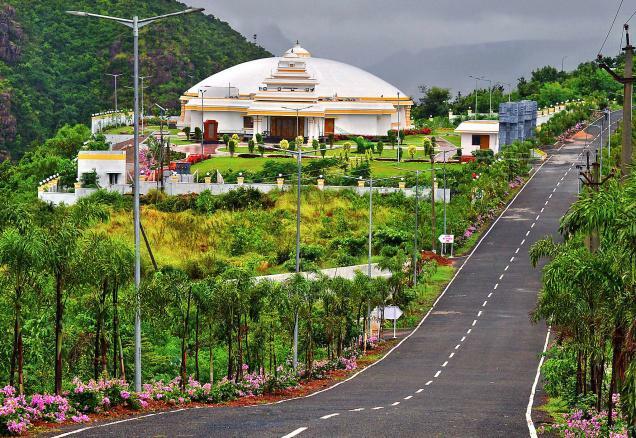 This hill, Thotlakonda, is one of a series of such hills that were inhabited by Buddhists around the present city of Visakhapatnam reportedly until 3rd century AD. The Visakhapatnam Municipal Corporation museum also known as Visakha Museum is located inside a 150-year old Dutch Heritage Bungalow. 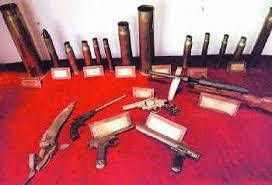 Exhibits include coins, jewelry, costumes, crockery, photos, armory and other artefacts of various dynasties that have ruled Visakhapatnam region. There is a shell of an unexploded bomb dropped here by the Japanese during the WWII along with many other interesting items showing the history of Visakhapatnam. 11 a.m. to 7 p.m. (Monday-Friday) and from 12 noon to 8 p.m. (Saturday -Sunday). Dedicated to Goddess Kali, this temple is a landmark at the Ramakrishna Beach on the Beach Road in Visakhapatnam. Bhavatarani Charitable Trust constructed this temple in 1984. The uniqueness of the Siva Temple, located within the premises of this Kali Temple, is its Linga called Rasalinga, which is made of a single stone weighing around 10 Kgs. Telugu is a culturally rich ancient language, inscriptions containing Telugu words dating back to 400 BC have been found. And its the only language in the Eastern world, that has every word ending with a vowel sound like the Italian language in the west. To showcase the heritage, historical significance and evolution of Telugu language a World Telugu museum has been designed and opened in Visakhapatnam. There are Paintings, Kalamkari art work, magnificent wood works, sculptures and an audio-visual presentation of the history of Telugu. People sit on a rotating table to watch the audio-visual presentation of Telugu heritage and history. Famous art director Thota Tharini worked on the art and design of the museum, which is supported by Visakhapatnam Urban Development Authority (VUDA) in association with World Telugu Federation (WTF). Kurupam market is one the oldest markets in Visakhapatnam. It was built by the Raja of Kurupam and presented to the King Edward VII. Erra Matti Dibbalu means Red Sand Dunes, this naturally gullied red sand dune formation are one of the unique natural wonders of Visakhapatnam. Scientists believe that the initial formation process must have started about 1.8 million years ago, and it continued to give the dunes its present shape to about 10,000 years ago. 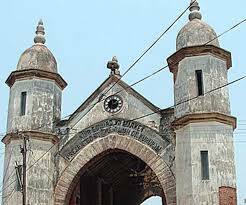 One of the most famous temples of the fishing community in and around Visakhapatnam, this temple is suppose to have a 600 year old history. Every year, tens of thousands of people throng to this temple for the annual festival of Sri Karakachettu Polamamba temple in Peda Waltair. This Hindu temple is dedicated to one of the incarnations of Lord Vishnu called Narasimha. The original shape of the deity in the tribhanga posture has two hands with the head of a lion on a human torso. The architectural style of the temple is a blend of Oriya and Dravidian. It is the second richest temple in India after Tirupati. A war memorial dedicated to the Indian victory over Pakistan in 1971. There is a tank, some spent missiles and a plane displayed. A Hawker Sea Hawk plane appears at this war memorial on the Beach Road of Visakhapatnam after this IN240 finished her service in the Indian Navy.